I hope this short enote finds you and your family doing well. It is hard to believe it, but Lent is here! Did you decide to take on any new spiritual disciplines or practices for this 40 day season prior to Easter? Did you consider a few practices or things you might give up for the season? I am looking forward to journeying with you as we look toward Holy Week, Crucifixion Friday, and the promise of an empty tomb come Resurrection Sunday. Please come and bring a friend this Sunday as we continue our new Lenten series on The Seven Deadly Sins. 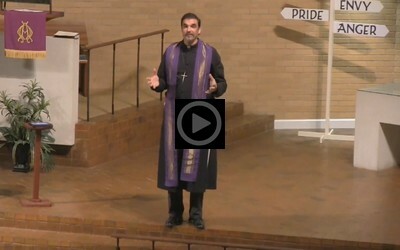 Did you miss the intro to this series at our Ash Wednesday service? If so, we already have it up online for you, so if get a chance, click the picture below so you can get caught up! This coming Sunday we will take a closer look at another of the seven - ENVY. See you in Sunday worship!